Where can you send a loved one to get that beautiful look for a special occasion? 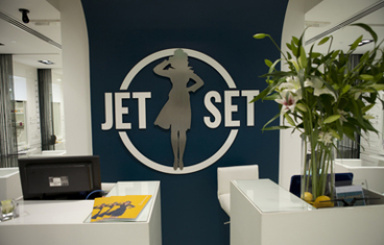 The Jet Set salon is the place for you. 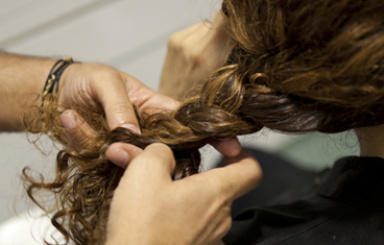 One of our gift cards can help send your friend on a unique experience with the best in hair care services. 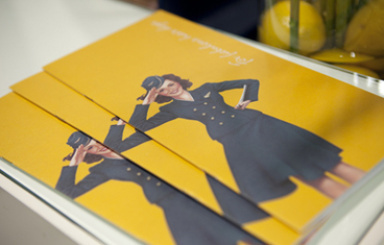 As soon as you walk in, you will feel like you are a part of the first class cabin on a luxury jet. Each comfy seat is numbered and can be curtained off for privacy. You will have access to your own television screen which is uniquely embedded into the mirror. All of the Jet Set stylists are highly trained professionals who will not stop until they give you the look you are seeking. 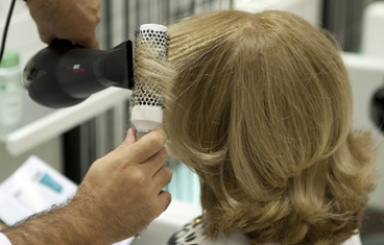 Blow drying, cutting, highlighting, and styling services are all offered. They also offer hair consultancy as well as special up do services for that special night out. Neck and shoulder massages are also given to customers to de-stress. 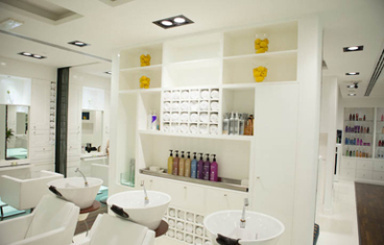 Your loved one can then enter the Black Box boutique and choose from a range of hair styling and treatment products from L’Oreal and Kerastase. 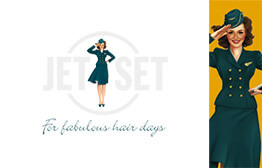 All of your hair care needs can be satisfied with premium services with one of our Jet Set gift cards. This eGift Card is redeemable for any service offered at JetSet listed Locations across the UAE, for the equivalent value of the eGift Card. This voucher does not include 5% VAT. The 5% VAT shall be deducted from the voucher value when the service is being redeemed. Mohammed was great - I will definitely return to this salon.